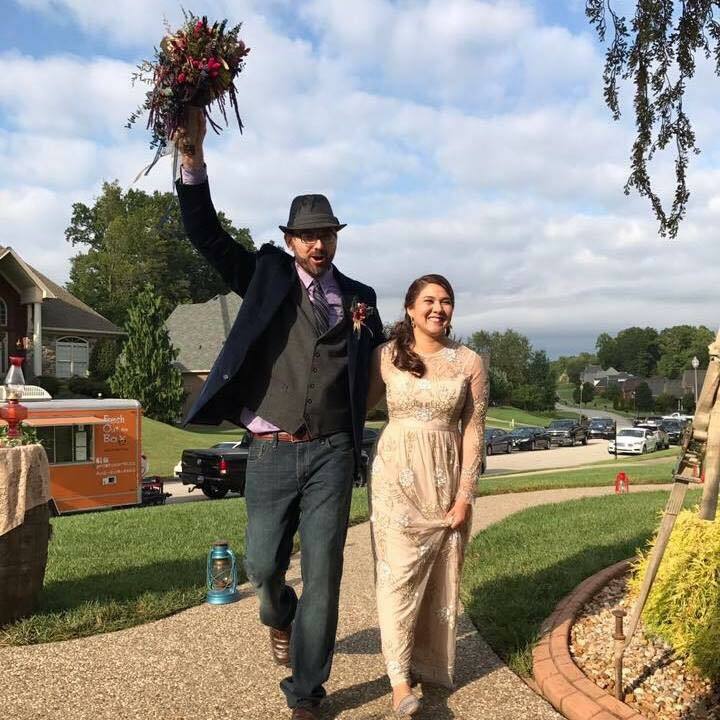 This past September, Eli and Teressa got married. Eli is my older brother, Donnie’s, best friend. When we were growing up, he was never not around! When we scattered my Dad’s ashes in the mountains of Georgia, in addition to my mom and siblings, Eli was the only other person present. Eli is not “like a brother.” Eli is considered an adopted brother, and we love him like family. So naturally when he decided to get married, we were all there to celebrate his happiness. Teressa, his wife, is creative and sassy and kind-hearted and fun! So when the two announced that they were expecting, of course my family wanted to help throw a baby shower! Truthfully, it was my generous and hard-working sister, Morgan, who volunteered. She is always the first person ready to help celebrate someone’s happiness and also to lend a hand in times of sadness. Morgan’s kindness surrounds her whole heart and although she might grumble about it, there is literally nothing she won’t do for people. Here’s the very loose baby shower theme: paper cranes. Teressa wants everyone to fold them at the shower so she and Eli can use them to decorate the baby’s room. There is an ancient Japanese legend that promises one wish for every 1,000 paper cranes folded. When my husband, Darrick, proposed, he did so with 1,000 paper cranes he folded using paper from our life. The cranes were folded out of receipts and playbills and menus and when he had folded 999, he proposed by folding the last one in front of me. He told me all the things he learned about himself during the process, and with Crane Number 1,000, he wished for us to have a long, happy life together. 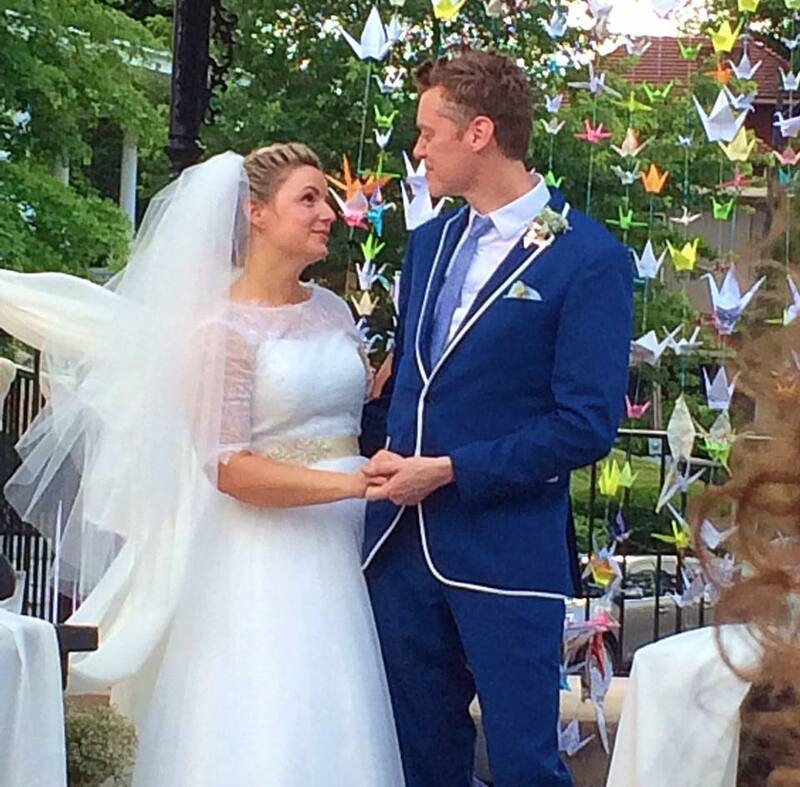 When we exchanged vows, the cranes were hanging behind us for good luck. I decided to continue the paper crane theme by using origami paper to make the favors. Origami paper is beautiful and comes in tons of colors and many different patterns. 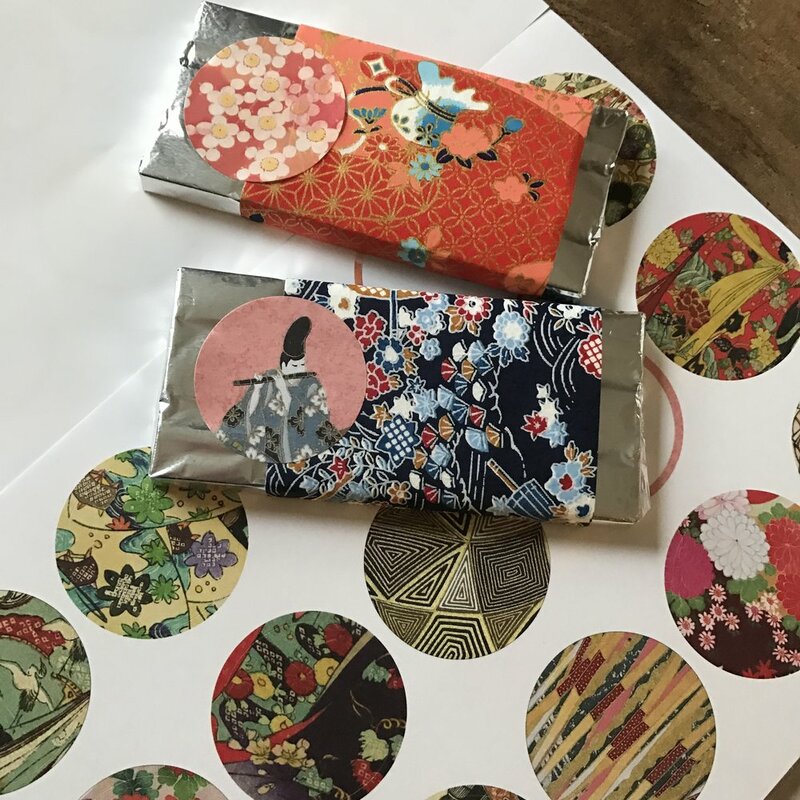 I decided to wrap candy bars in the paper to create take-home treats for the guests. This project took me one hour and was really very easy. The hardest part was unwrapping the original wrappers from the candy bars. 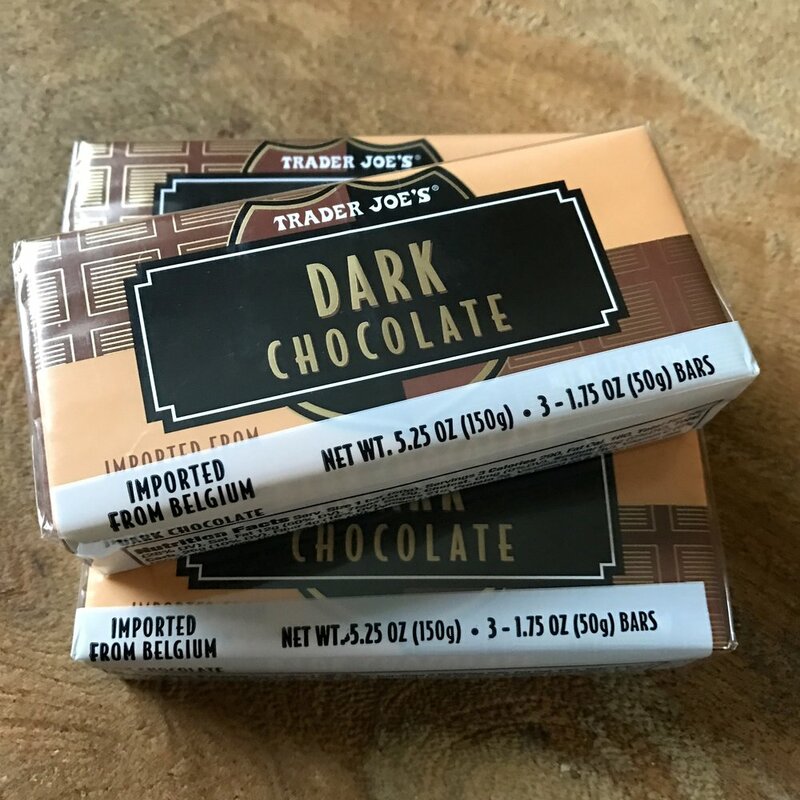 You could leave them on, but I think it seems more personalized when you don’t see the Trader Joe’s wrapper. 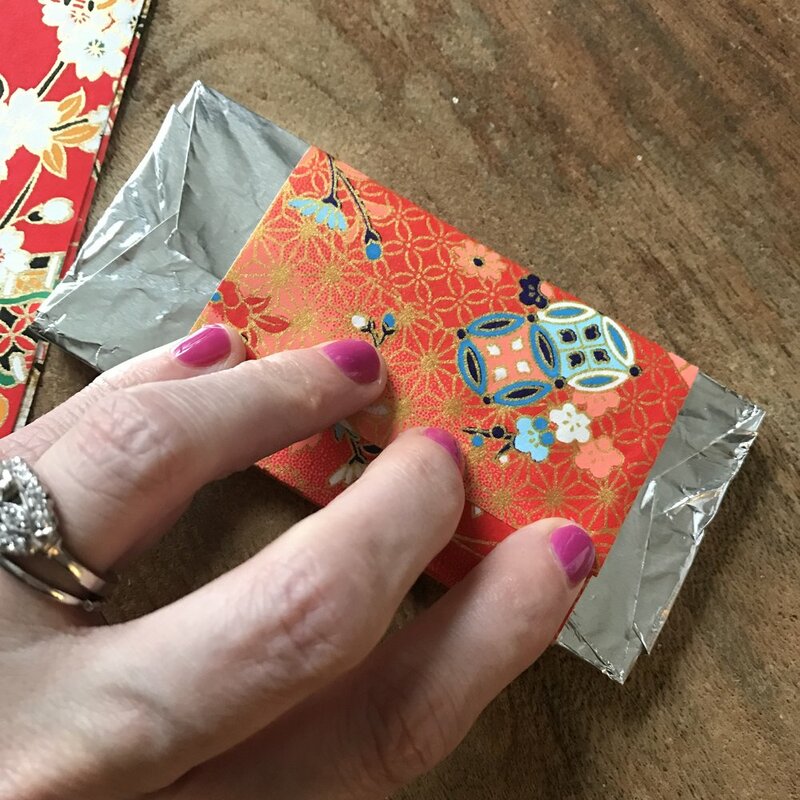 I chose origami paper that is 4” X 4”, so I just had to cut each paper in half and wrap the paper around the candy bar. I used a small amount of glue and laid the candy bars seam-side-down to hold the paper together while the glue dried. Darrick got these stickers and used them in place of tape on my Christmas gifts this year. The remaining ones are perfect for this project. I placed one on the front of the bar like a label. If you can’t find stickers, you can always use a contrasting strip of origami paper to create the same look. I wrote on the sticker with a marker to further personalize the favor. You could add the baby’s name, the date of the shower, or the mom’s and dad’s names. Whatever you like. The total cost for 42 favors (I needed 40) was $39.18, which makes each favor less than a dollar each—pretty cheap for a personalized favor! Also the entire project only took one hour and 15 minutes from the start until everything was cleaned up! What I love about this project is that the basic concept can work with any theme—baby shower, birthday, wedding…By using a different paper, you can totally change the way the favor looks. And it’s chocolate, and almost everyone loves chocolate!